Selecting the Right Insulation For Your Home - Carpentry Unlimited, Inc.
Fiberglass is the most common type of insulation, and likely what you picture when you think about home insulation. This often-pink material has an r-value of 3.2 per inch. Cellulose is a form of insulation created from paper pulp that is applied via a spraying system. Its r-value per inch is about 3.2. Polystyrene comes in boards that are often used along with other insulation options. By itself, it has an r-value of 4 to 5 per inch. Foam can be applied by spray cans, and its r-value ranges from 4.5 to 6.5 depending on brand and specific ingredients. Mineral wool is made from steel, with multiple application options, including rolls of the material and spray. Its r-value per inch is 3.1. Combinations of these insulation types can add extra insulating properties to a structure. There are many benefits to home insulation. An improved daily life from a warmer, or cooler house is just one of them. A lower electricity bill is another. 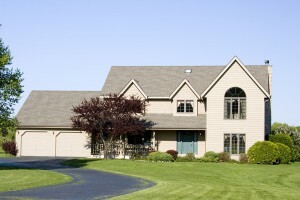 Saving money by protecting your home from the temperature outdoors is deeply satisfying. It will also keep temperatures more uniform than a house with no insulation, avoiding sharp drops or spikes in temperature that can be jarring and uncomfortable. Call a professional for a smooth insulating process.